Joinery & building covers a wide range of potential services or home improvements that you can have carried out at your home. We are experts at timber decking & fencing and have a diverse team that can carry out all plastering, painting or decorating, tiling & plastering. We really are a building company that has it all covered and we look forward to working with you too. If what you are looking for a is a fully bespoke carpentry, joinery or building team then you now know you have visited the right website. If we haven't listed the exact job that your require whether that be windows, doors or sun rooms for example then be assured that we have the skills and the knowledge to create it. Building is at the core of what Buildvale do and specialise in building extensions, garage conversions, loft conversions, sun rooms, conservatories and more. Buildvale Ltd are at team of experts, and a building company in Glasgow & surrounds that you really can trust. All building work is undertaken and overseen by the site manager. Carpentry & Joinery is where we learned our skills many years ago and we treat the trade as a skill or a craft. We make sure that all our internal domestic joinery as well as external domestic joinery is of the highest standard. Buildvale are experienced and have a huge list of happy customers, that just love our wood work. Tiling in the bathroom or kitchen is what brings everything together for that look of luxury. Buildvale Ltd's team of tilers work in Glasgow, Lanarkshire & Dumbartonshire regularly and can fit all common tiles such as porcelain, stone, marble and more. Both wall and floor tiling are on offer from Buildvale Ltd. Timber Decking is the ideal solution when you have children or just love to make the most of those sunny days out the back. Decking in your garden is an extension of your home and we are well placed to advice on timber decking as we class this as a specialism and can fit rails and banisters or balustrades to match the look and feel. Plastering can breathe a new lease of life into the walls and ceilings older properties and plastering is a sure fire way to make the old look new again. Plastering in Glasgow & Lanarkshire is a service that we at Buildvale offer and a free quotation is on offer. Plastering over old artex is something that we do all the time.. Timber Fencing comes in many shapes and forms both large and small. We are able to fit fencing at all properties that have their own surrounding garden. gates and driveways can also be surrounded by a fence and we are the team to fit the fence you have been longing to secure the privacy and safety that it will bring. Buildvale Ltd have Select registered electricians which means that the work they do is assured to be compliant and safe. We can fit additional sockets, spotlights and lighting are common requests from our customers. No need to get an electrician when you contract us as a builder as we take care of it all. Bathroom and Kitchen fitting specialists at Buildvale Ltd are meticulous and are able to work with all styles of fitting that are on the market. We are gas fitters and can also fit things like gas fires or living flame fires too. For all your plumbing needs be assured that Buildvale are experienced and skilled in doing so. If you are looking to do house extensions in Glasgow then you have come to the right company. With Buildvale Ltd taking care of the entire process from design and planning to completion certificates, adding a ground floor extension to the side or rear of your property is a great way of creating more room for your family. Or you may be looking for a two story extension which could effectively add up to 50% more liveable space to your home and with up-sizing being very expensive this is a more cost effective option with less hassle involved. It will also increase the net value of your property. So browse the site, give us a call or drop us a line by email and one of our planners will call you back to discuss house extensions in Glasgow. If you are looking for loft conversions in Glasgow you have come to the right company. With Buildvale Ltd taking care of the entire process from design and planning to dealing with completion certificates, converting your loft space into a usable area is a great way of creating more room for your family and with up-sizing being very expensive this is a more cost effective option with less hassle involved. It will also increase the net value of your property. So browse the site, give us a call or drop us a line by email and one of our planners will call you back to discuss loft conversions in Glasgow. If you are looking for garage conversions in Glasgow you have come to the right company. With Buildvale Ltd taking care of the entire process from design and planning to dealing with completion certificates, converting your unused garage space into a liveable area is a great way of creating more room for your family and with up-sizing being very expensive this is a more cost effective option with less hassle involved. It will also increase the net value of your property. So browse the site, give us a call or drop us a line by email and one of our planners will call you back to discuss loft conversions in Glasgow. 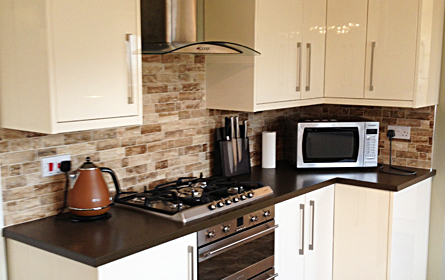 Having a new kitchen fitted is a great way of lifting the ambiance of your property. At Buildvale Ltd, the kitchen fitting in Glasgow experts, we can take care of the whole project from the design through to the installation. whether it be a Wren, B&Q, Howdens or any other kitchen manufacturer you have in mind we will be sure to complete your new kitchen to our high standards using only the best materials. So browse the site, give us a call or drop us a line by email and one of our planners will call you back to discuss kitchen fitting in Strathclyde. You have found the company that carries out amongst the best bathroom renovations in Glasgow. At Buildvale Ltd we can take care of the project from design all the way through to installation and completion. We have worked with and used some of the best materials in the industry, if it's a small cloakroom, en-suite or bathroom you are looking for we can guarantee out team of professionals will complete the job to a very high standard of workmanship. A Glasgow renovation company that specializes in making the old.. look new again. More than just painting and decorating, at Buildvale Ltd we complete both full or part refurbishments to both commercial and domestic properties. This along with our design service we will take care of your project; whether it be a refurbishment for a rental property or for a newly finished family home, from conception to (final) inspection. Working to a budget and time deadlines your property will benefit from a stunning finish and a markedly improved value. So browse the site, give us a call or drop us a line by email and one of our planners will call you back to discuss anything you have in mind. A Glasgow renovation company unlike any other.